Travel is like many other things in life – we get what we put into it. So much of the pleasure of travel is anticipation: plotting the route, learning about history and culture, imagining the sights, and stumbling into new discoveries. Bordeaux is often referred to as the “Port of the Moon” referring to the crescent moon shaped harbor, created by the flow of the Garonne River. A city with a 2000-year history, where memories and words to describe this city for some years were harsh and ugly: dirty, dingy, soot covered and littered. 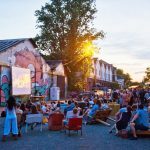 With civic pride, a vision, and a grand plan for urban revitalization, The Bordelais set in motion a cosmopolitan renewal. They went about cleaning centuries of soot from historical limestone buildings, removing walls and traffic from the city center, demolishing and relocating riverfront warehouses and docks – creating a riverfront promenade for tourist, cyclist, joggers, and baby strollers, to explore this beauty on foot. It is a mix of historical and modern renaissance. 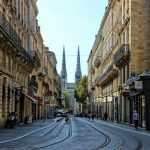 In 2007, Bordeaux received the classification as a UNESCO World Heritage Site, honoring 1810 hectares in the region, along with its historical buildings and sites. 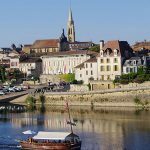 Situated along one of its greatest assets, the Garonne River; flowing into the Gironde Estuary, Gironde River and the Dordogne – finally reaching the Atlantic Ocean. Bordeaux has become world famous for its wine regions and beautiful rivers. 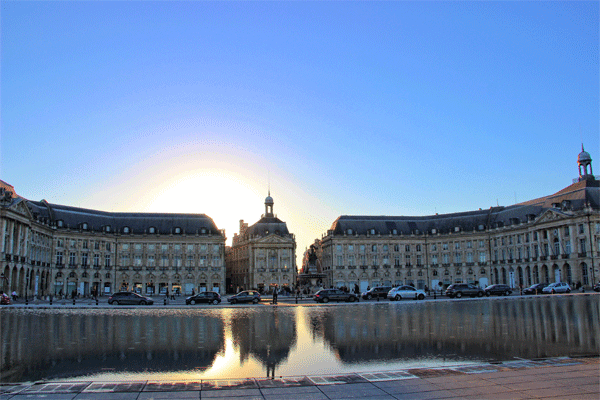 Some even refer to Bordeaux as the City of Water. Bordeaux is so much more than a place of vineyards and wine. 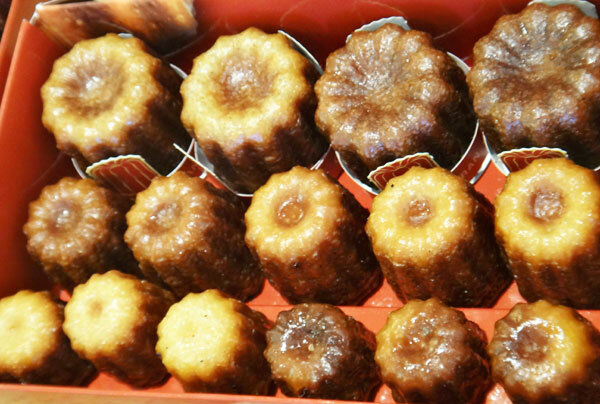 Bordeaux abounds with unexpected heartwarming surprises like experiencing the historical and heavenly, Le Canelé, dating back to the 19th century – when the nuns at Saint Eulalia created it. A bite-size, and crispy golden brown cake, with a thin outer crust, slightly burnt and caramelized, hiding a luscious melt-in-your mouth spongy inside – permeating a vanilla and rum fusion. 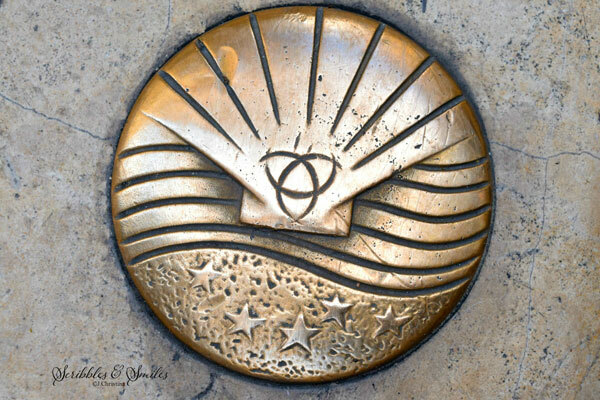 On the other hand, discover the 12th, century symbol, the scallop seashell, signaling the way to Le Chemin de St. Jacques de Compostelle – Way of St. James – pilgrimage route. Found throughout Bordeaux’ historical squares, inlaid in cobblestone streets and embedded in building facades and fountains around this medieval city. Astonishingly, leading the faithful to the notable and majestic Basilicas Saint-Michel and Saint Seurin, and Cathedral Saint André. The scallop seashell, has taken on religious and metaphorical symbols for pilgrims traveling across France to the final destination in northwestern Spain, to the Tomb of St. James. 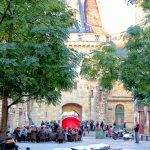 Surprises like Marche des Capucins, a historical market, dating from 1749, surviving in modern times. This market is sometimes called the “belly of Bordeaux” where the history of the market has stood still – offering regional delicacies: white asparagus from Blaye, briny oysters from Arcachon, pork belly from the Médoc region, and fresh lamb chops from Pauillac and more varieties of cheeses than one could image. 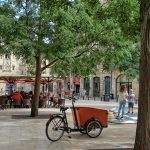 Bordered by the Atlantic Ocean and the Pyrenees Mountains, Aquitaine and its capital city, Bordeaux, offers unparalleled treasures to explore. Explore a wine connoisseur’s paradise, accompanied by noble chateaux’s and breathtaking scenery; while savoring the unique and historical treasures inside Bordeaux. 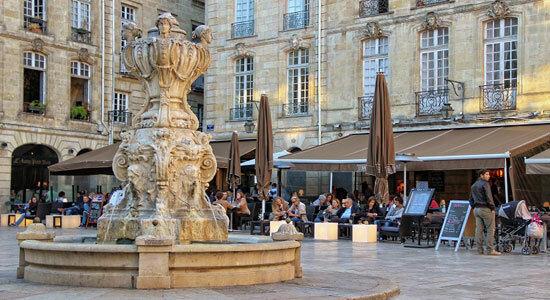 Discover the douceur de vivre of Bordeaux.